(5).Advancing the services and improving the satisfactions of a public place. 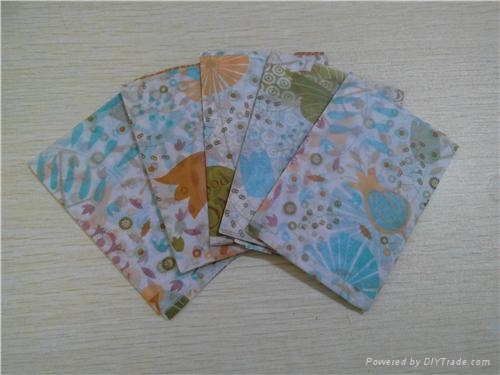 (6).Smooth,water-soluable, eco-friendly and disposable paper. After using, it can be taken away by washing water. (7). Effectively prevents cross-infection of various diseases (skin disease, infection)and helpful to avoid the psychological discomfort resulting from human body’s direct contact with toilet seat. 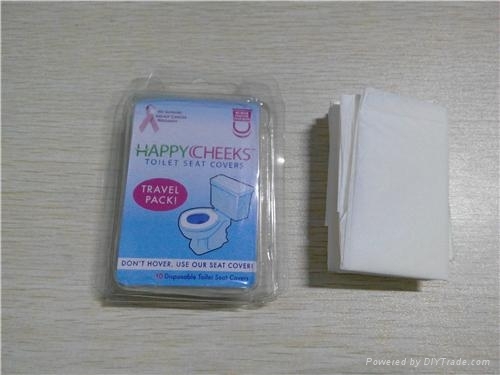 Used in restroom at work, office, Gym, Pubs, restaurants, wine bars, schools, clinic, hospitals and many more places. Within 30days after get deposit or irrevocable L/C at sight. 1. Free samples sending within 3 days. 3. High quality products supply. 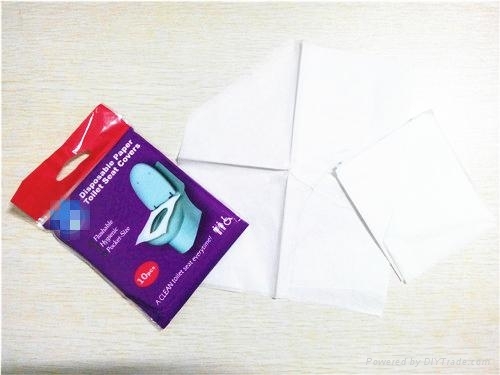 1,Pull out a piece of toilet seat cover paper, and snap the three points between the tongue part and the seat part. 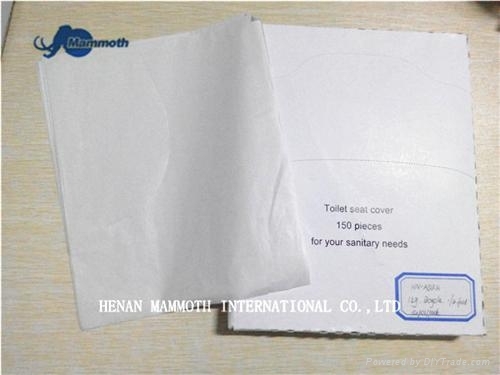 2,Open the toilet seat cover at the seat, and the tongue slice will prevent water spray on the hip. 3,After using, it will be taken away by water. For it's water soluble, it will never block the drain. 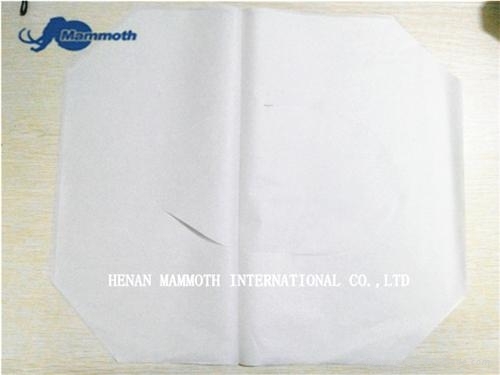 Henan Mammoth International Co., Ltd. set up in 2006 and is located in Zhengzhou City, Henan Province of China. After seven years of development, we owned a wide range of products line. One is chemical line, whose factory is located in our province and mainly produced fine chemical and medical intermediate. The second is disposable paper products line, which mainly export to U.S. market. And the third is footwear line, whose R&D and QC department in Wenzhou City, Zhejiang Province. For our hard work, we gained a very good reputation from our customers. Nowadays, we have customers in all the world. Such as the USA, Japan, the UK, Australia, Austria, Brizil, Spain, Poland, Vietnam, Pakistan, Bangladesh and India etc. Meanwhile， for customer’s supporting, we grow stronger and stronger. Hereby, we want to say all of customers: thank for your believe！We will always try our best and do our best. “Reliable quality, competitive price and excellent service” is our commitment for every client.we sincerely hope that we can have chance to cooperate with you and provide our best product quality and service. Any of our inquiries and suggestion are all always welcome!